All month long, parks throughout Arizona are celebrating Archaeology Month. 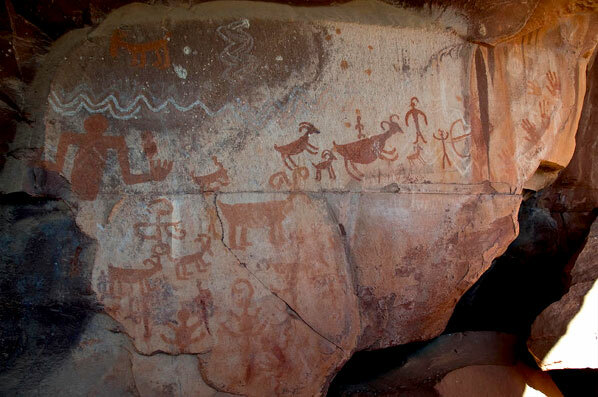 This coming Sunday, March 11th at 2:00 PM at Red Rock State Park, Peter J. Pilles, Jr., forest archaeologist for Coconino National Forest, will be presenting a program on The Rock Art of Sedona. He has spent 30 years documenting the rock art of the Verde Valley with volunteers from the Arizona Archaeological Society, Sierra Club, Forest Service Partners in Time program and Elderhostel. The programs are free of charge with a $10 per vehicle entry fee to the Park.